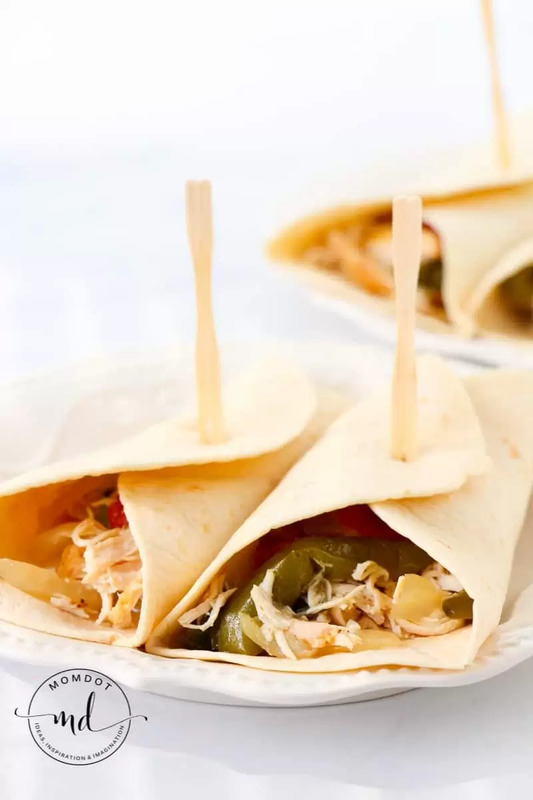 These Slow Cooker Chicken Fajitas are the best! 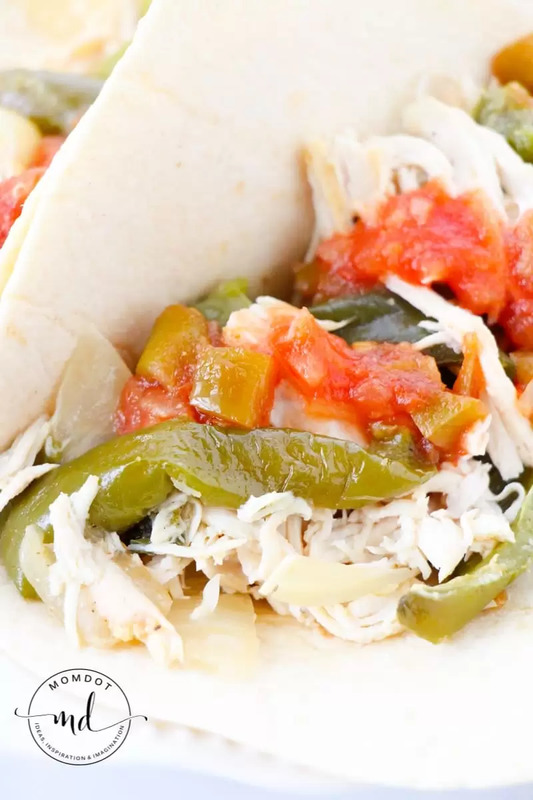 You can make this delicious Slow Cooker Chicken Fajita Recipe for dinner without hardly any work at all but still taste like you spent hours in the kitchen. Whether its Taco Tuesday or Fajita Friday, making your chicken in the slow cooker is hands down the easiest way to create juicy perfection. Printable Recipe below! Every night of the week I am looking for a way to not stand in the kitchen asking myself “ok, what do I cook NOW” and slow cooker meals are hands down the easiest solution almost any day! 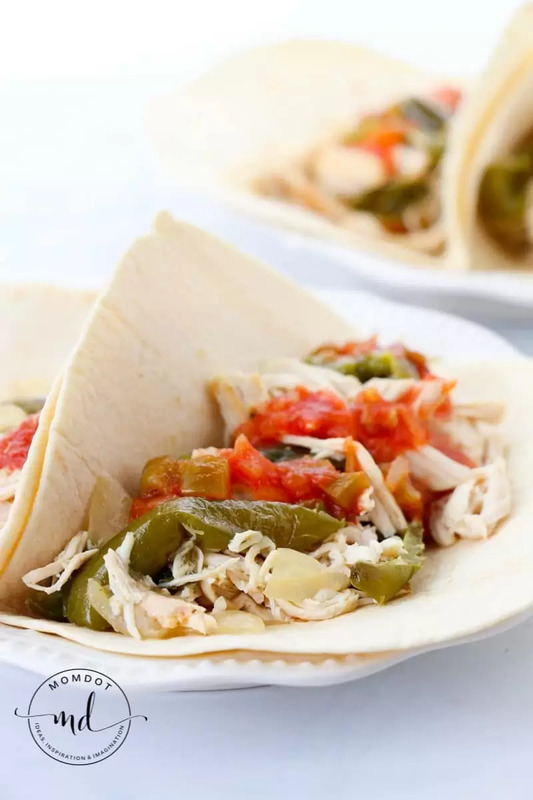 A ‘set it and forget it’ attitude sure helps at 5pm when it seems easier to just run to fast food or haul out cereal bowls, which is why this Slow Cooker Chicken Fajitas Recipe is sure to please moms AND kids both looked for new chicken breast recipes! 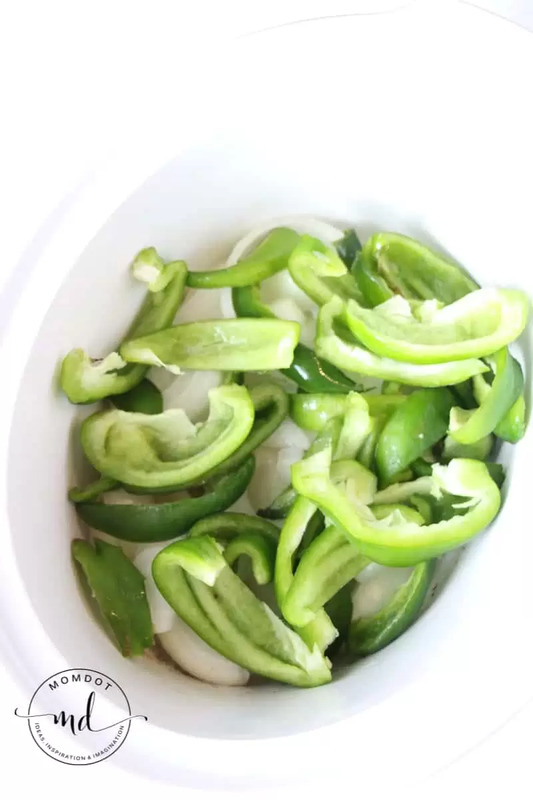 You can make easy slow cooker Fajita chicken yourself and find out why this recipe became one of the most popular on pinterest! Add butter, then peppers, onion and chicken breasts, topping with your taco seasoning. Use a fork to shred the chicken. Add into warmed tortilla shells, add salsa, and serve! Add butter, then peppers, onion and chicken breasts. Use a fork to shred the chicken and serve. 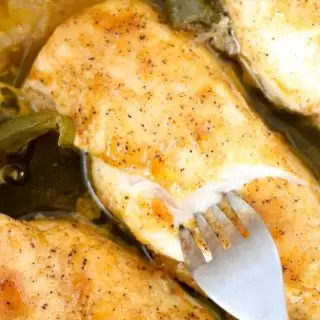 Our top Chicken Breast Recipe here !